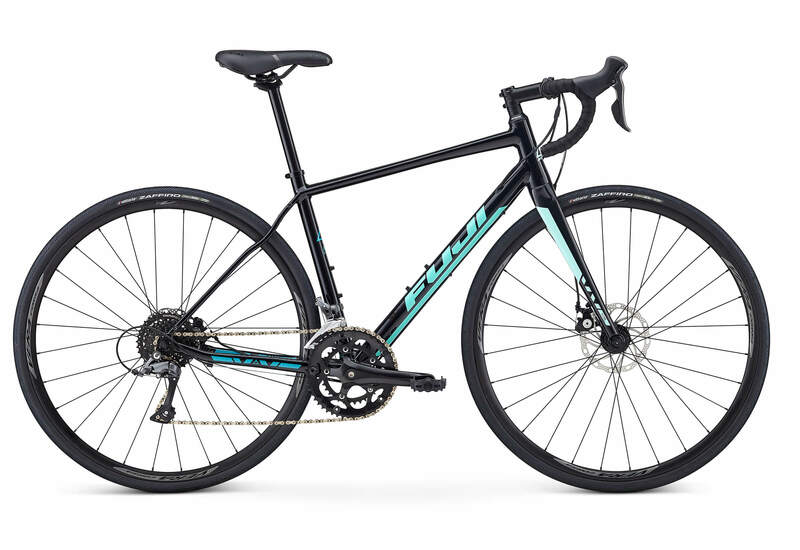 Since the early 1970s, Fuji has produced premium bikes for women. 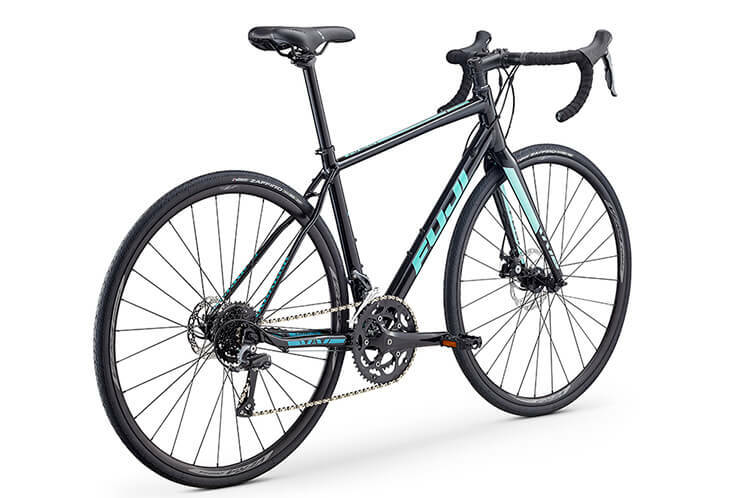 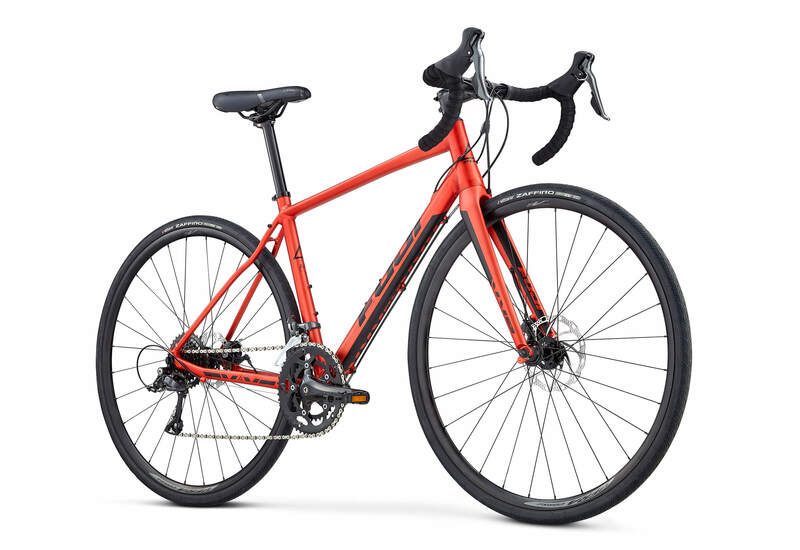 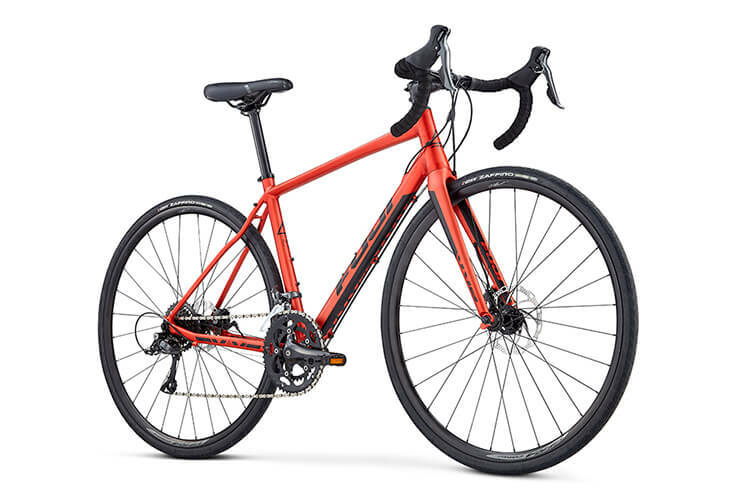 Continuing that tradition is the Finest, a women's-specific aluminum road bike that incorporates some of the design and technology features of Fuji's top-of-the-line models into a fitness minded, smooth-riding, perfectly-fitted road bike. 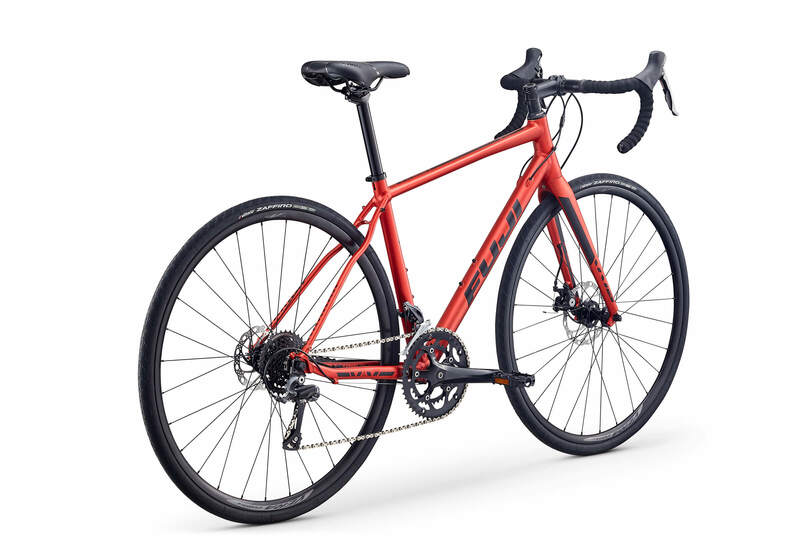 A longer wheelbase and taller headtube position the rider efficiently to reduce arm fatigue and back strain while on the road. Women's specific endurance geometry and road-compliant seatstays provide all-day comfort. 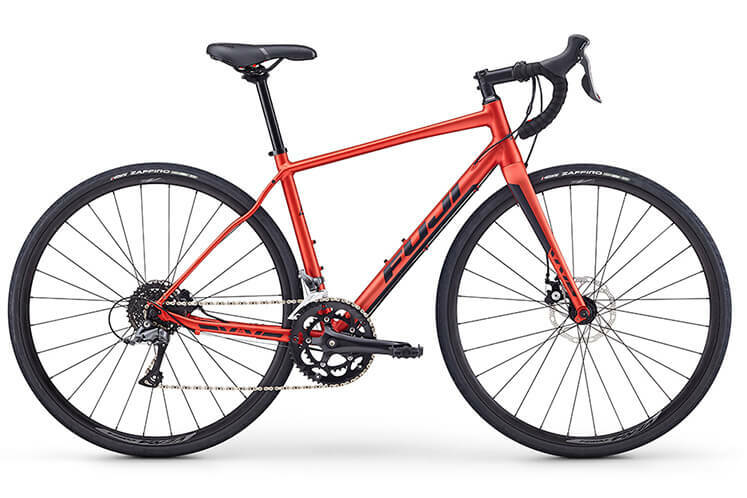 A2-SL double-butted alloy frame that is both strong and lightweight. 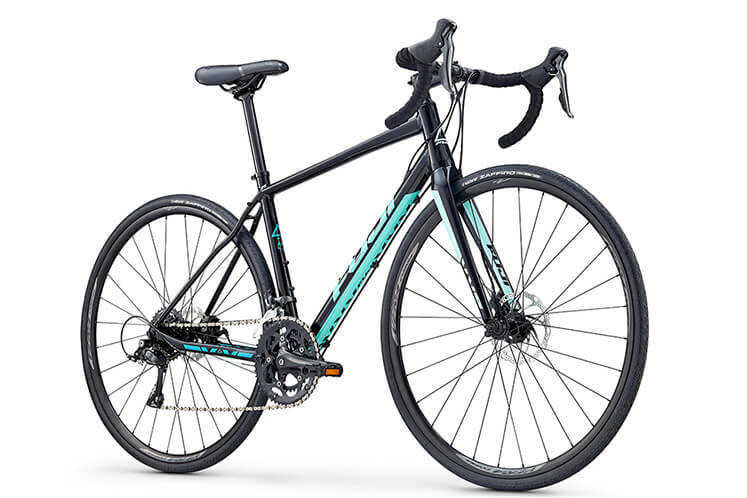 Women's-specific geometry makes for a shorter top tube and more stand-over clearance instills confidence when riding. 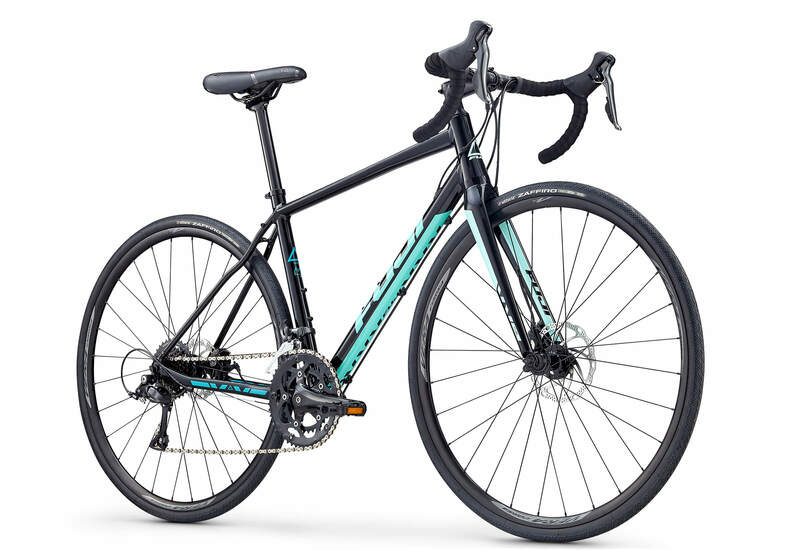 Women's-specific saddle, narrower handlebars and reach-adjust brake levers for improved rider contact. 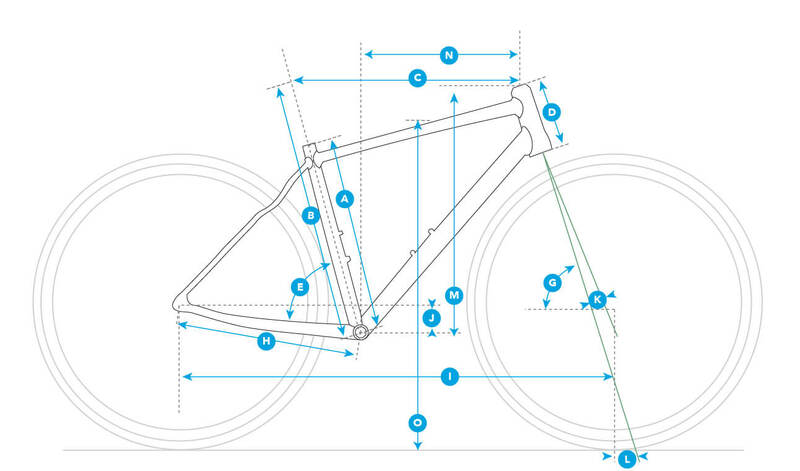 Taller head tube puts the rider in a more upright position, easing lower-back fatigue and enhancing comfort. Wave seatstays for more compliance and comfort over rough roads. 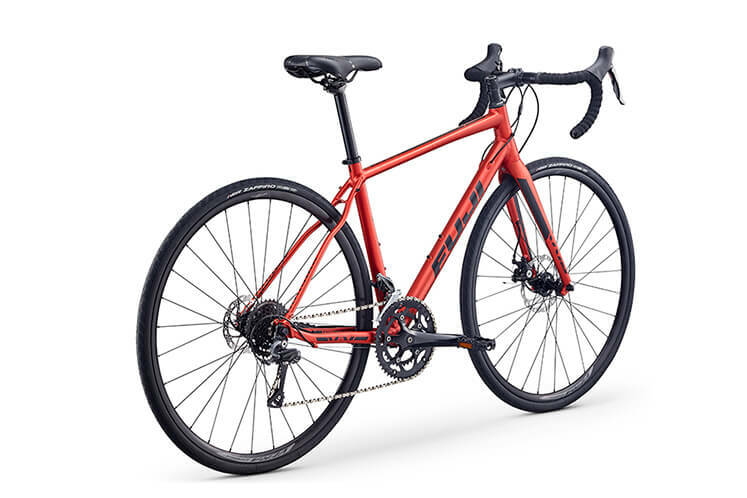 Disc brakes for superior stopping power in all weather conditions. 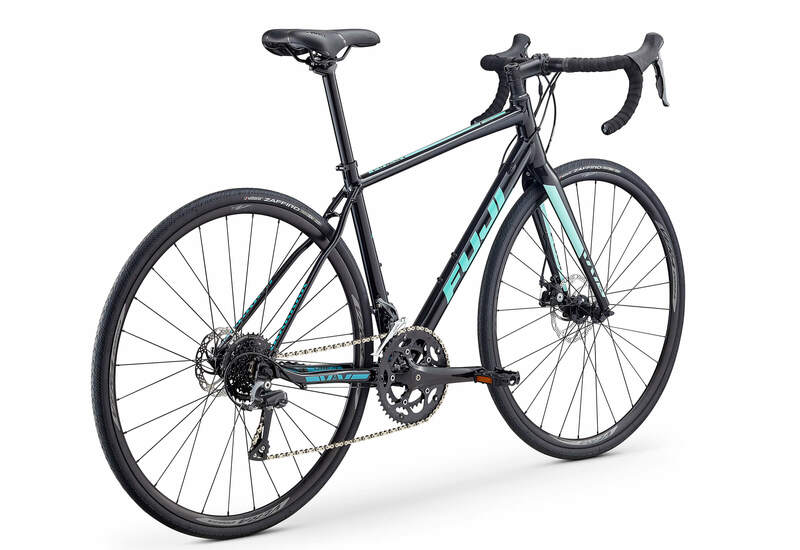 Rack and fender mounts add carrying capacity and all-weather utility.